The staff at Volume One has been busy the last couple of months and now has an exciting announcement to make. 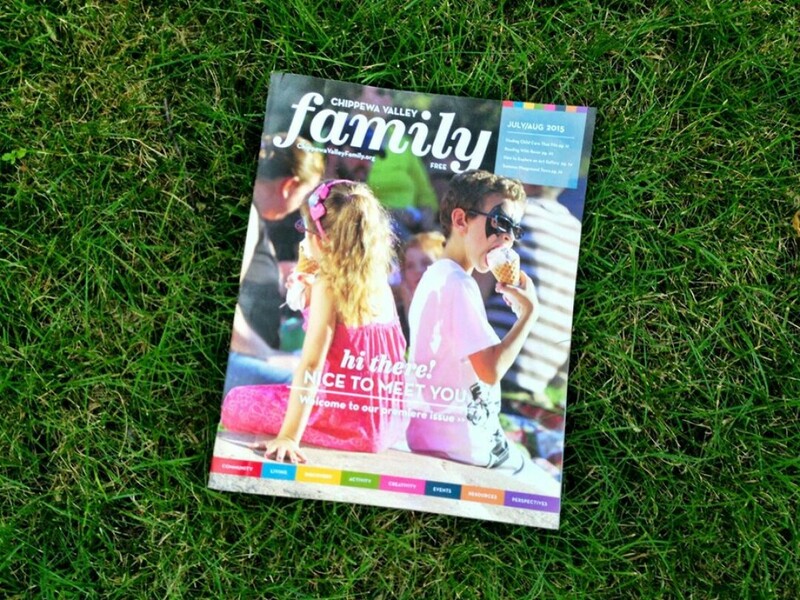 We’ve recently launched an entirely new, stand-alone “sister” publication called Chippewa Valley Family. It’s a complete resource for family-oriented stories, listings, events, and perspectives, all delivered through a local lens that explores themes including community, discovery, creativity, activity, living, and more. It’s available on your desktop and mobile device now at ChippewaValleyFamily.org, and the first print edition – which will come out every-other month – will start hitting the streets this week. Also find it on Facebook. You can expect the popular “Kid Culture” section, which lists local kids and family related events, to stay in each issue of Volume One. But because of the extra space and special focus, the listings in Chippewa Valley Family will go much, much deeper and provide local families with a broad array of ideas and resources. Truly now more than ever, you’ll have up-to-date information on family-related events and happenings all at your fingertips, anytime. However, getting you good local information is only part of the goal of this new endeavor. We also want to use these new platforms to create an even stronger sense of community within the local family scene and take our region’s family-friendly vibe to the next level. We want to connect parents, kids, grandparents, caregivers, non-profits, and businesses with each other, all for the betterment of our kids and the entire community. If you’ve got any feedback, we’d love to hear it. And if you’re interested in contributing in some way, we’d love that, too – email editor@chippewavalleyfamily.org anytime.